Estrogen and progesterone (testosterone’s female counterpart) levels fluctuate during menstruation, pregnancy and menopause. These fluctuations have widely been known to be a common causative factor of migraine and other cluster headaches in women, often stopping entirely post-menopause; when estrogen production stops. However, despite representing opposite gender characteristics, testosterone and estrogen are present in both men and women. It is this estrogen-testosterone imbalance that may contribute towards migraine in men with low testosterone levels. In such cases, estrogen production increases, while testosterone levels reduce or remain the same. Testosterone replacement therapy, which is commonly used for low T treatment, has been proposed for treating migraines in men and women. A 2018 Leiden University Medical Centre, Netherlands study , in which researchers took blood samples from 39 men of similar age and health; 17 of whom already suffered from regular migraines. According to the results, estrogen levels in migraine sufferers were 50% higher than their non-migraine peers, despite having similar, normal levels of testosterone. A 2012 study published in the post-reproductive health journal Maturitas observed the effect of testosterone therapy in pre- and postmenopausal women with migraines. According to the results, implanting small testosterone pellets under the skin relieved the condition equally in both groups. While reduced production in male reproductive organs is the prime cause of low T, a small number of men with migraine and low T may have low levels of the hormone due to an abnormality in the pituitary gland, which is responsible for hormone production and regulation. This increases the likelihood of other hormonal deficiencies being the prime cause of migraines instead of, or in addition to, testosterone deficiency. Increasing serotonin levels (a substance that facilitates communication within the brain). Improving brain blood flow by widening blood vessels in the brain; a common cause of migraine. Reducing swelling in the brain. Resuming normal electrical activity in the brain by stopping Cortical Spreading Depression (CSD). Despite the above-stated risks, low T therapy remains a highly effective medical treatment for stabilizing testosterone levels. 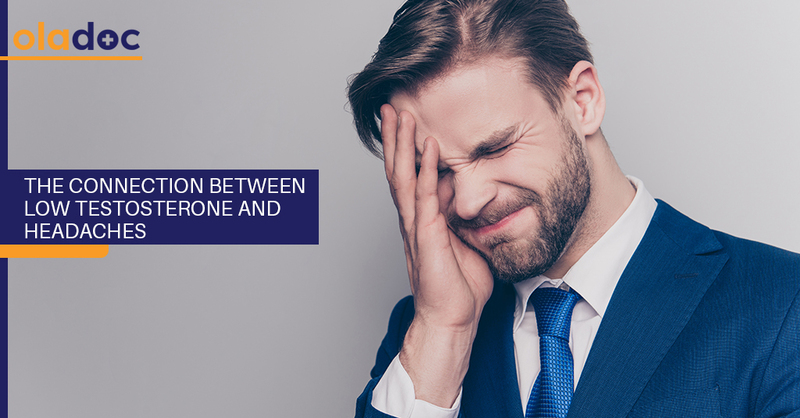 If you suspect a testosterone-estrogen imbalance to be the cause of your migraines, consult with your doctor for a proper diagnosis, and whether low T therapy is for you. You can also book an appointment with a top Urologist in in Lahore, Karachi and Islamabad through oladoc.com, or call our helpline at 042-3890-0939 for assistance to find the RIGHT Doctor for your hormonal concerns.